Quick Thoughts: CASTLE, "47 Seconds"
Castle's one of my favorite shows, so it pains to to have to admit that I might be done with thanks to "47 Seconds." Admittedly, most of the episode was good, but I was not happy with some of the revelations what were introduced and how they could possibly impact the rest of the season. Let's start on a positive note. For the first time in a long time, Castle gave us a case-of-the-week that was remotely interesting. Now, I did think that having someone bomb a fake Occupy Wall Street rally was a bit heavy-handed (especially after those opening shots of the destruction), but I enjoyed how the story was told. Giving the audience a glimpse of what the witnesses saw was a great move, and something I wish more cop shows used every once in a while because it makes everything feel new and fresh. I'm also a sucker for non-linear storytelling, so bouncing from scene to scene was entertaining. Now, onto what upset me about this episode. Some of the minor annoyances are easy to get past, for example the overall tone bummed me out. 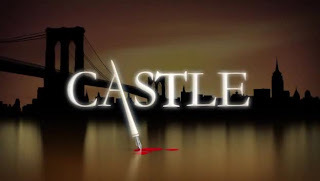 One of the main reasons why I gravitated towards Castle in the first place was its lighter tone which makes it easier to bear than grislier procedurals like the CSI franchise. 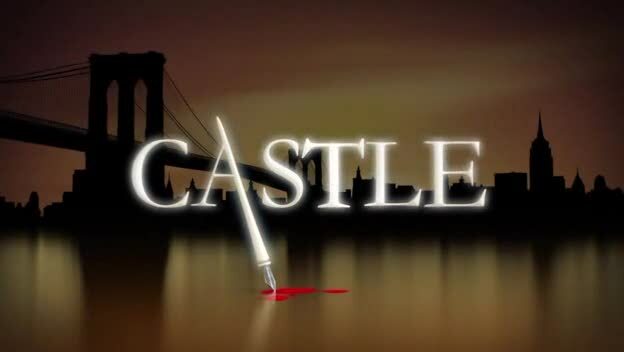 I enjoy this show a lot more when Castle, Beckett and the boys are cracking jokes and having fun while chasing down murderers, and more serious episodes like "47 Seconds" tend to be my least favorite of the bunch (unless one of the main characters is in serious danger). Obviously, I know that every episode can not be careless and fancy free, but this episode needed something to lighten the mood, and we didn't get it. There were some other small quibbles that I had like Alexis' continued presence in the morgue (I liked it better when Rick's lives were separated), but by far the worst offender this week was the Caskett teases that were sprinkled throughout the episode. Again, I get that the unresolved sexual tension is this show's bread and butter, but they're taking it too far, and I'm honestly starting to lose interest which is a shame because I can remember a time when the small moments that they shared made this show special. Now, I don't even care if they end up together or not. Every show that's built on "will they, won't they" will encounter the problem of figuring out when to either pull the trigger or abandon the premise altogether, and it's tricky to pinpoint when it's time because there's not a magic formula, but there are limits. When a show like Castle constantly strings the audience along with episodes like "47 Seconds," they run the risk of frustrating fans and pushing them away especially if the hurdles that are put in the couples' way feel fabricated and forced. That's how I felt after watching this one. I can understand why Rick would feel the way he did after he learned that Kate remembered everything, but it shouldn't have gotten to that place. Instead of having him tell her what he was feeling, we got another idiotic stall tactic that deflated any real emotion for false tension, and it was maddening. True, this has been Castle's go-to move over the last four seasons, but why stage such a traumatic event in order to be his catalyst just to back away yet again? I couldn't help but feel cheated and manipulated as soon as Ryan walked away. There's probably some people out there who will tell me to be patient, but I have been for over three years now, and I need to get the impression that something's going to happen and that I haven't been wasting my time. I'm sure we will get a satisfying payoff when it's all said and done, but I can't take any more games, and I hate for Castle to become an afterthought like Bones. Move it along people!